Druid Forms – Lions and Flyers and Bears, Oh My! Basics, Druids Comments Off on Druid Forms – Lions and Flyers and Bears, Oh My! Druids are the one class in the World of Warcraft that can take on a variety of forms. 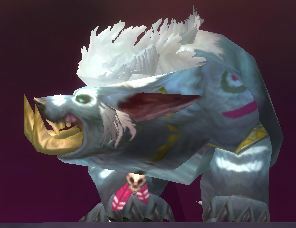 Sure, the Shaman has her wolf forms, but your Druid forms amount to so much more. Your various forms can run, swim, fly, do massive damage, and so on. This shapeshifting is one of the things that makes the Druid so very versatile and effective in any aspect of the game. Of course, if you’re going to use all of the Druidic forms well you’re going to have to put in some effort. The class is a little harder than others because of this same flexibility. So what are these forms? So let’s do a run down of the various Druid forms that are available to you and what they’re all about in the mists of Pandaria. First off is your “Caster Form.” This is what you start with as a brand new character and, for a few levels, it’s all you will have. It’s the same as everyone else gets, too. You will be just your basic Night Elf, Worgen, Troll, or Tauren and you’ll be throwing the “Wrath” spell around a lot. Cat form comes in at level 6 and is where you can really start doing some damage. Of all the Druid’s various forms this is the one that does the most damage, right up close and personal. You get large bonuses to your attack capability and faster movement speed. At level 10 you get even better if you take the Feral spec. Add in one of the Tier 1 talents and things get even better, movement-wise. Travel form, at level 16, is a nice speed increase. You take the form of a Stag, antlers and all, and trot right along at the same speed as a basic mount. 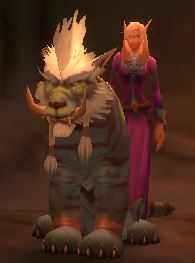 If you prefer the old Travel Form (prior to Mists of Pandaria) you can get a Glyph of the Cheetah. Aquatic form, level 18 – kinda like SCUBA diving, now you can explore all those underwater places and swim around at a decent speed. As with all Druid forms you cannot be polymorphed by wandering mages while in this form. Want to swim even faster? Get a Glyph of Aquatic Form. 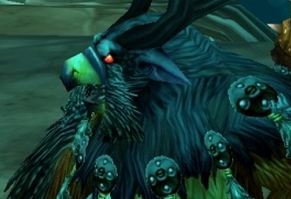 Moonkin, at level 29 – This form requires the “Balance” spec and if you aren’t Balanced you can’t do the Boomkin thing. Balance is the Druid’s version of the Mage, you stay at range and lob damage at the opposition as opposed to doing it “face to face.” While in this form you get more Arcane and Nature damage and take less yourself. You also increase the spell haste of all your party and raid members, which is a nice perk. Flight form, acquired at level 58, allows access to all those high places in the Outlands. You will have to wait until level 60 and then get a Flight Master’s License from your home city to be able to fly in the lands of Azeroth. Cold Weather Flying will be necessary to fly in Northrend and you have to wait till 90 to fly in Pandaria. Epic flight form, at level 70, allows you to reach those high places even faster. You can keep the same licenses as before, you’re just faster now. 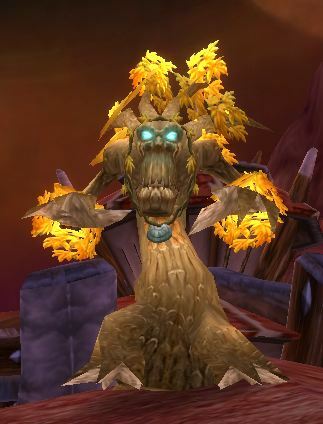 Glyph of the Treant teaches you the Tree Form. This used to be the form that Druid healers (Restoration) would take, but now it’s optional. One advantage to the Tree, besides role-playing, is that you stand out in a group. Your team can more easily find you and aid you, such as in PvP or a raid. One of the additional cool things about shapeshifting is that it allows you to immediately pop out of “Movement Impairing Effects.” If some player or other enemy slows you, for example, you can shift forms and immediately escape. Sometimes you can also escape from other effects. This is a very nice ability to have in PvP. Lastly, just because you can shift to various animal forms it doesn’t mean that you can talk to them. They’ll treat you just as if you were any other class and will take no note of your awesomeness. Oh well, can’t have everything, can you? From the new splash screen when you log in to the modified talents and trees to the new Inscription skill, there are a lot of changes here. Check out the Latest Patch Notes for details.Â Also keep in mind that the patch has probably broken at least some of your addons. I referred to that previously and linked to an addon update list. So what I’ve put together here is a collection of posts regarding the new talents and builds. I did this previously (Level 80 WoW Talents And Builds) and this new post linksÂ to new and, hopefully, updated info. Dual Talent Specs – At last — “…And my personal favorite: Dual Talent Specs. This new feature should be added to the game in one of the content patches following the release of Wotlk. Hopefully in Patch 3.1.” What does that mean? It means you’ll be able to save 2 different Talent Specs for your characters, and that you’ll be able to switch between the two as much as you want, any time you want, besides while in combat or in arenas. Paladin: Prot Paladin Talent Build – Block hurts them afterall. Weâ€™ll see. Lastly no Holy, nothing in the Ret tree beyond the above, and as the levels tick toward 80, theyâ€™ll all get spent in the Prot tree. Tagged: build, Paladin, pally, prot, talent. That should be enough to chew on for now. Feel free to comment or, if you like the post, use the share buttons below. PS: Wrath is bringing a lot of changes and Northrend is a pretty good sized place with a lot going on. Take a good look at the Killer Guides’ Wrath of the Lich King guide – It will make your trek to 80 much easier and much more lucrative. The Wrath is coming. Time to hide. Of course, one of the big changes in the Wrath of the Lich King expansion is the changes to all the various talent trees. As you probably know, Blizzard isn’t just adding a few new talents or increasing the level cap to 80. No no no, there’s a little more to it than that – they’re making large changes to existing talents and shuffling around their exact position in the talent trees. So what I’ve put together here is a collection of posts, from various places,Â that discuss the level 80 talents and changes. Some of these also offer build suggestions, both from raiding and PvP points of view. In addition, If you want to play around with talent builds for your own characters you’ll find the level 80 WoW talent calculator here. Of course, the changes aren’t 100% finished, all of this is still in beta test, and Blizzard has been known to make big last minute changes. We can count on more changes along with the usual collection of nerfs and maybe some buffs. Still, it’s a place to start thinking about how you might spec your characters when you upgrade to Wrath. Update 10/14: The 3.0 patch has arrived and here’s an update post on what’s happening with the WoW Talents and Builds. ’nuff said, here ya go! WotLK: Build 8962 – 4 Extra Points for Frost – When the WotLK expansion hits, as I level up, I will start filling in the Arcane tree until I get Focus Magic. When I hit 80 and start raiding again, the talent build that I will most likely be using is this: 80 PvE/PvP Frost. Want to hit level 80 fast? Looking for ways to familiarize yourself with Northrend without wasting valuable playtime running around in circles? Check out the Killer Guides’ Wrath guide and get ready to go before the expansion hits. Edit: By the way, don’t forget to grab your free Death Knight Starter Area Leveling Guide. A New Excuse to PvP? PvP, wrath of the lich king Comments Off on A New Excuse to PvP? 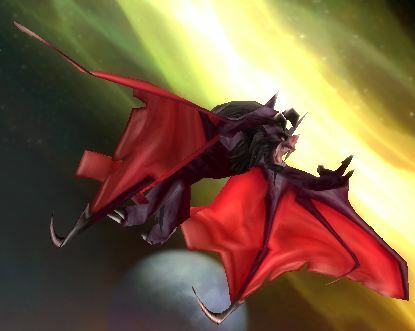 WoW Insider has a fun post on the Great Dwarf Hunter Nesingwary, seen in Stranglethorn Vale and Nagrand. Nesie, of course, is all about hunting the various beasts in the area. Now one could argue that he’s just thinning herds that grow impossibly fast or maybe he’s just a minion of evil with his wanton slaughter of innocent raptors, er… critters. But that, of course, doesn’t keep the hippie animal lovers from fighting back — as you might know by now, in the expansion Nesingwary is going to face some opposition in the form of D.E.H.T.A., or Druids for the Ethical and Humane Treatment of Animals. Or that the DEHTA crowd gets a quest to harass (ie: kill) Nesie’s hunters. I’m not saying that this will happen, or is even likely, but it’s fun to think about. Especially on an RP (Role Playing) PvP server. Anyone have any other suggestions to spice this up a bit? What’s in an Agility Point? WoW Mechanics Comments Off on What’s in an Agility Point? Agility is the most wanted stat for [tag-tec]Rogues[/tag-tec] and [tag-tec]Hunters[/tag-tec], but a few other classes have some degree of use for agility as well. So what does a point of Agility get you, if you’re Rogue? Here are some numbers, taken from WoWwiki. Other classes get no benefit to their Attack Power from Agility. It also adds to crit rating and defense, but in a variable amount. At level 70, Rogues and Hunters need 40 agility to gain 1% crit chance, Warriors need 33, and everyone else needs 25. For their Dodge chance, druids need 14.7, rogues need 20, most everyone else needs 25, and hunters need 26.5. For comparing different items of gear there is the Agility Equivalent Points (AEP) system. This attempts to take any of the value any particular piece of gear might have and give it a value in AEP. As I understand this, you can now campare item A (with X Ag and whatever other goodies) with item B (having Y agility and whatever bonuses.) So each point of Agility, Stamina, Armor, Hit Rating, Attack Power, etc. will all have AEPs. Of course, how many AEP each item is worth will vary depending on whether you’re leveling, grinding, PvPing, or Raiding. For example, Resiliance gets a fairly high rating in PvP, but very little for raiding. Talent builds will change the values as will exactly how you play your characters. Note the increase in the value of Stam for PvP and the addition of resiliance. Here’s an example: If we take the Gladiator’s Leather Helm, one the the PvP items, we can take it’s numbers and get an AEP value: 34 (Ag) + 53 (Stm) + 8 (Red Socket) + 13 (Crit) + 23 (res) + 18 (1/2 AP) = 149. You’ll have to come up with a value for armor, the meta socket, and the set bonuses, but it’s a start. The Elitist Jerks forum has a long discussion on how it all works, oriented towards Hunters, but generally useful for those of you who are more into the exact calculations. So if you’re looking at nice items from raiding, PvP, or crafting you can use this system to compare them and make a reasonable estimate of which is best. We’ve put up a couple more Druid guides and a Review of the killer Zygor Leveling Guide. Here ae the links. You can also see them to the right. For those of you starting a Druid, your class has several rather long and involved quest chains to obtain certain powers. At about level 14 you can do the five-quest chain to obtain the cure poison spell. Some detailed information, maps and screenshots are always nice to see before embarking on these quests. To assist you in your quest for the cure poison spell we’ve put together a detailed walk through for the Druid’s Power over Poison quest chain: one for Alliance and one for the Horde. Let us know if you find these guides helpful. We’ll be coming up with more soon. 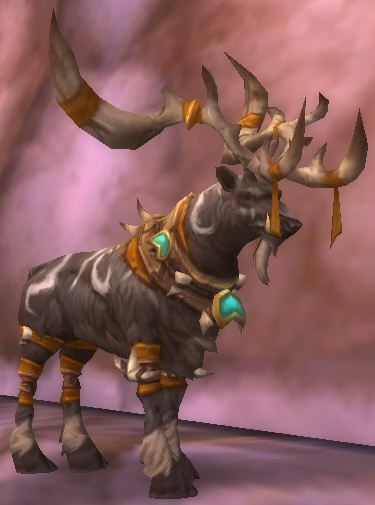 You might also be interested in the guides we made for the Druid Bear form quest chain and the Alliance Druid Sea Lion form and Horde Druid Sea Lion form quest chain. Druids Comments Off on Gotta Druid? For those of you who may be new to Druids, there are a few quests that you’ll have to go through to get access to your various forms, lions, tigers, bears, oh my. Well, bears and big cats, anyway. If you have any comments regarding those guides, or questions, or improvements, leave a comment on those pages. The Bear form is the earliest Druid shapeshift that you get and, naturally, you have to do a quest to get it. Now the quest isn’t hard, as such, but it can be confusing and if you live on a PvP server your quest might suffer some … interuptions.